I come here because of my heart – I have a very irregular heartbeat. I have been under a huge stress, looking after my father who has been unwell and who recently died. My blood pressure sky-rocketed, and I was hyperventilating. My head felt strange, like I was having TIAs, like a black-out. I had pressure behind my eyes as though my eyes would pop out, and I was light-headed. When I move my head quickly I get dizzy, my head spins from the inside. The doctors say that my heart is fine, but I get really concerned when I get a heaviness in my chest and my head. My left arm goes numb, I think I’m having a stroke. I get cold in my chest and down both arms. There is a cold “fizz” in my chest. I’m generally a high-energy person, buzzing. I love music and dancing, I could dance the whole night long. I love tennis, being busy, the excitement of it all. But my mind races, and I can’t stop it. I get light-headed if I’m excited, I talk too fast. When I “go off” I start to feel unwell, especially up in my head. I tend to breathe shallowly, then go into hyperventilation. Once my heart rate is up, I’m fine. I have been so immersed in sickness, old age, death. When my father died, my mother-in-law wanted to move in and be looked after, too! I have never grieved the death of my mother, she died in the operating theatre, and I went into shock. Then my heart went funny. I lost hope, went into depression. It was getting out of control. Here is a very high energy person, very “wired”, to the extent of feeling out of control. She has many of the characteristics of the spider family: highly strung, nervous, animated, lively, with fine sense perceptions that take in too much when she is feeling over-wrought. Like many people who respond well to spider remedies, she loves music and dancing, and feels better when she is energetically busy, but then overdoes it. 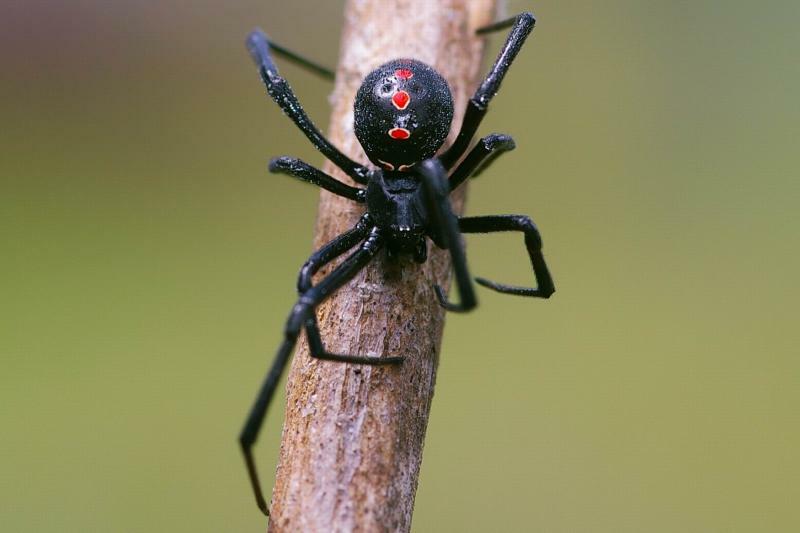 The heart complaints, with numbness down the left arm, pin-point the remedy Latrodectus mactans, or Black Widow spider. Indeed, the theme of “black” seems to run through the case: she loves to paint using mainly black. 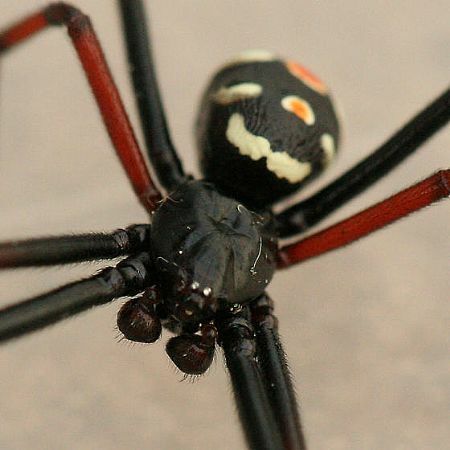 The heads in her paintings are very small, perhaps like the heads of those mates bitten off after mating with the black widow! There is a theme of darkness and destruction in her paintings. Even her skin is dotted with scores of black moles, one of which has turned into a melanoma. The fact that she had such a large haematoma after the operation also fits the picture: “lowered blood coaguability, blood becomes thin”. She was given one dose of Latrodectus mactans 200C. “I’m feeling much calmer. My heart has calmed down, it has stopped doing its wacky thing, and I have no more pains down my left arm. I used to have a “fizzy heart” about 3-4 times per hour, now not at all. I still get some hot flushes, but not nearly as often or as severely as before. My blood pressure is fine now, and I’m not getting the headaches that I used to get, nor the hyperventilation or light-headedness. My thoughts don’t race anymore. I’m still having trouble sleeping at times, I can wake up from hot flushes, but I can go back to sleep now without my mind going into overdrive. I just lie in bed and think for a bit, then fall asleep again instead of staying awake all night. I’ve stopped all the blood pressure medication I was on, and I’m not so concerned that I will have a stroke. " I believe this is a remedy I need for myself. I&apos;ve been looking for many years. Just recently I tried Tarenula Hispanica and it felt like it worked but didn&apos;t fit 100%. Always appreciate your contributions immensely, Deborah. In the past year Ive had a dramatic result with Theridion (Orange Spider) for a baffling bout of vertigo of 8 months duration, with sensitivity to noise & vibrations. As a Melbourne person, I do tend to wear black a lot (as we do! 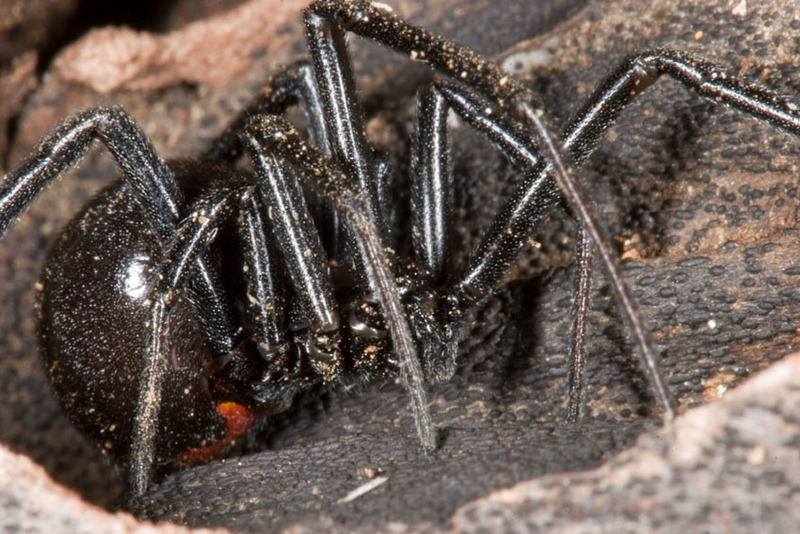 ), & so imagine there must be a lot of people here who need various spider remedies, not just Latrodectus.